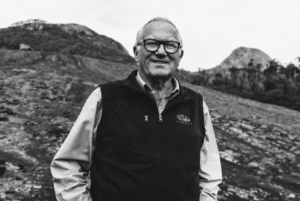 Roll out the red carpet as we welcome Duke Ranson from Duke’s Vineyard on May 8th, 2019. After searching some time for the perfect property to establish their vineyard as their ‘retirement’ they planted their first vines in 1999 on Duke’s 60th birthday. Since then Duke’s Vineyard has gone on to become one of the most acclaimed vineyards in Western Australia, being consistently names in James Halliday’s top 100 since 2013 and winning Best Wine in Australia with their 2017 Magpie Hill Reserve Riesling, the first time a white has ever won! Delve into Duke’s winemaking journey whilst we showcase five of their wines carefully matched with five artisan cheeses. 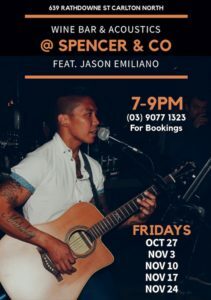 Held at Spencer & Co Wine Bar Provedore, an intimate wine bar with a retro vibe, serving seasonal European dishes. Option to purchase wine on the night! 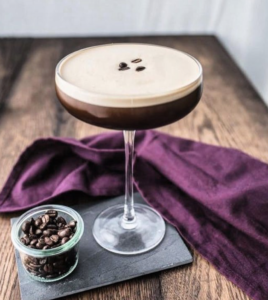 So to celebrate all the Mum’s this Mother’s Day I have teamed up with some of my favourite neighbouring Rathdowne Village businesses to bring you an epic “Pamper Mum” prize. 🛀 A 90 minute Relax Treatment which includes a facial and back exfoliation and massage at Nadine Dolphin Beauty valued at $195. 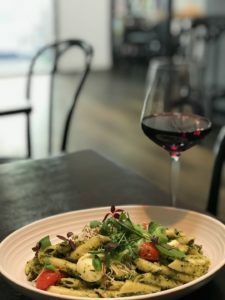 🍾 $150 voucher for wine and cheese at Spencer & Co Wine Bar Provedore. 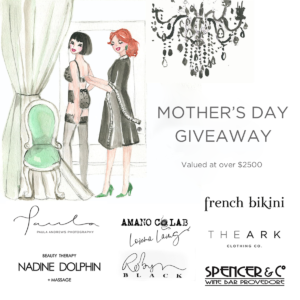 Do you have or know a Mum that you think deserves to be pampered? Enter them in the chance to win! Hop into Spencer & Co this Easter Sunday for our 3 course menu for lunch or dinner $45pp. Spaces are very limited, so don’t delay in securing your spot. 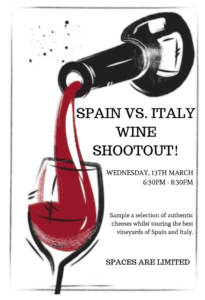 SPAIN vs ITALY WINE SHOOTOUT! We all know that Spaniards drink more. 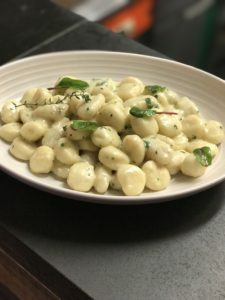 Both Italy and Spain have the European “drink with food” culture but Spain drinks quite a lot more and alcohol is more tolerated, but let’s put their produce to the test! 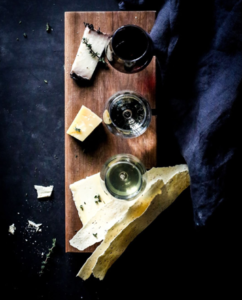 We will essentially compare the contrast of the wines with artisan cheeses, selected by our resident cheesemonger whom will take you through how these cheeses came about. Please enquire before booking about dietary requirements by calling 03 9077 1323. 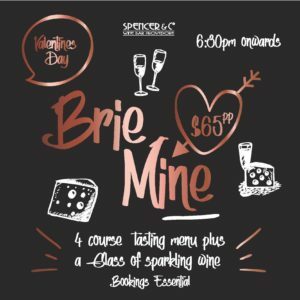 Sweep that special someone off their feet with a candlelit, 4 course-dinner in the ultimate surrounds of Spencer & Co Wine Bar Provedore on Valentine’s Day. 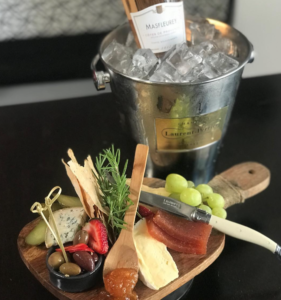 Dinner will include a welcome glass of champagne on arrival followed by an array of entreè, main, cheese board and dessert prepared by our very talented chef, Donald Wilson. SUNDAYS WINE AND CHEESE? YES PLEASE! The team at Spencer & Co Wine Bar would like to wish everyone a very safe and happy festive season. 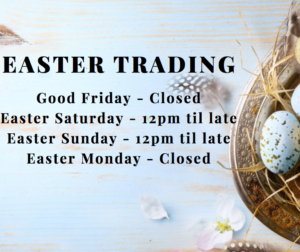 After this period Spencer & Co will return to our usual trading hours. Thank you for your ongoing support and we look forward to seeing you all in the New Year! 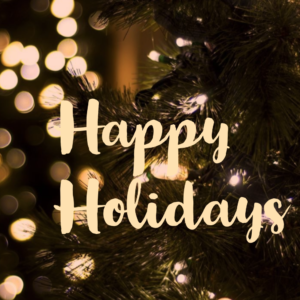 From, Carmel & all the team at Spencer & Co Wine Bar. 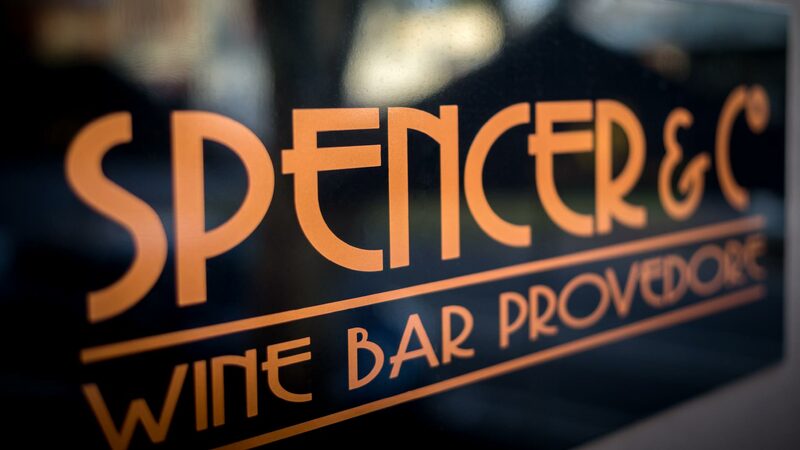 Spencer & Co Wine Bar Provedore is hosting a French wine night paired with delicious canapes. Because pairing food and wine makes a huge difference to how you perceive each element. In fact, a great match can make both the food and wine taste better. Phil from The Wine Depository has picked four wines to make our canapes sing like Edith Piaf…. A must for everyone that loves good food and wine you must attend this event. Can you think of a better way to spend your Wednesday night than with like-minded people enjoying great wine and food? BOOK NOW, as there are only 20 tickets available! 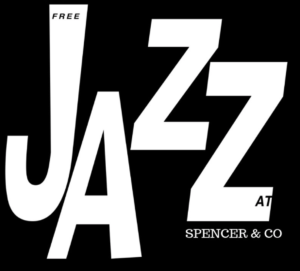 We are so excited to announce that our SUNDAY JAZZ is back! The smooth sounds of Tea for Two is back on Sunday, 30th September from 4-6pm and every Sunday after. Since their release, the Super Tuscans have represented some of the best wines in Italy and the whole world. 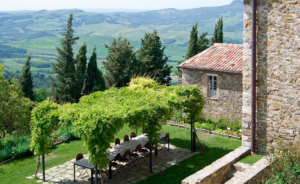 The term “Super Tuscan” was coined to define the new wave of wines from Tuscany. Rebelling against the constrictive laws of the time, these wine makers moved away from the ‘boring’ to make thrilling and iconic wines that we still enjoy today. 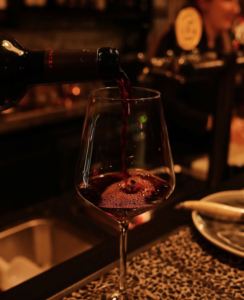 They use grapes like Cabernet, Syrah, and Merlot, sometimes blended with their native Sangiovese to make wines that rival Bordeaux, Barolo, and Napa Valley for power, intensity and aging potential. Not to mention price! This is your chance to try some of these world beating wines. We’ll taste 5 Super Tuscans. Classics like Ornellaia and Cepparello, modern takes such as Ampeleia, Petro and Grattamacco. For palate calibration we’ll also enjoy one of the best Chianti Classicos on the market; Isole e Olena. Your host will be Phil Smith from The Wine Depository https://thewinedepository.com.au. Phil’s passion for wine and enthusiastic delivery will make for a compelling event. Phil’s style makes it easy for any wine lover to join in and feel at home, whether you are a master of wine, or just a master of drinking wine. 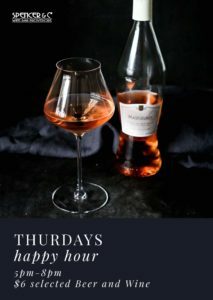 To complement these amazing wines Spencer & Co Wine Bar Provedore has crafted a Tuscan-inspired 4 course sharing dinner. 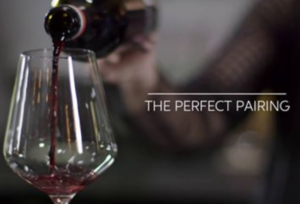 This is the ultimate way to experience both the wines and Spencer & Co’s hospitality. Seats to our wine dinner are strictly limited. We’re capping it at 8 places so everyone gets a decent glass of each of these great wines and can enjoy the social atmosphere around the table. NOTE: DIETARY REQUIREMENTS can be catered for with 48 hours prior notice. On Wednesday 18 July, we might need to roll out the red carpet because we have winemaking royalty coming to Spencer & Co! Briony Hoare from Beach Road Wines is a former Jimmy Watson Trophy winner and Australian Young Winemaker of Year. Her delightful McLaren Vale winery serves up small quantities of outstanding wines with genuine personality, a fact not lost on James Halliday who ranked the Beach Road Fiano, Nero d’Avola and Aglianico the finest examples in the country. 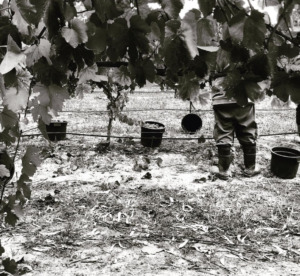 Briony’s love of Italian varieties stems from a vintage in Piedmont, but she earnt her stripes in Coonawarra, McLaren Vale, Barossa, Hunter, Mildura and Great Western making some of most famous wines in the land. Her husband Tony is one of Australia’s leading viticulturists and their combined CV includes names like Wirra Wirra, Penfolds, Seppelts, Rosemount, Lindemans and Wynns. We are absolutely thrilled Briony is able to join us to take you through her stellar lineup of wines matched with a carefully curated selection of cheeses. Masterclass includes drink on arrival, followed by presentation of five wines matched with five cheeses. Spencer & Co Wine Bar Provedore is proud to host Bakery Hill Distillery, Melbourne’s most established Single Malt Whisky distillery which is rapidly developing a reputation as one of the finest malt whisky distilleries in the world. The masterclass is co-presented by our resident cheesemonger Blake Sebastian and two of Australia’s top whisky producers David & Andrew Baker. 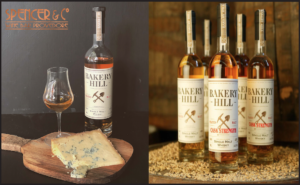 David, Andrew and Blake will showcase pairings of cheese and artisan whiskies by Bakery Hill Distillery. Masterclass includes a whisky cocktail on arrival, followed by a 90 minute presentation of four single malt whiskies and four cheeses. Join us on the 30th May for a special cheese & wine night with French wine maker Robin Querre of Emilian Wines, Yarra Valley. The Querre families connection with wine dates back to 1897, with their first vineyard purchased in Pomerol, Saint Emilion in the early 20th Century. Robin has travelled the world making wine and has now settled in Australia. The event will showcase the revered cool-climate Pinot Noir, Chardonnay varietals and more from the Yarra Valley/Dandenong Ranges. An unmissable event for any wine enthusiast! 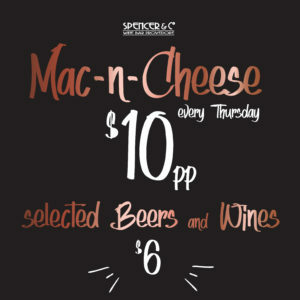 PRICE: $70.00 pp inc. drink on arrival with 5 wines paired with 5 cheeses. For $20 enjoy our pappardelle pasta with eggplant, zucchini and tomato based sauce paired with a glass of wine from the Yarra Valley! 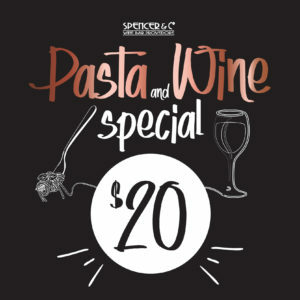 For $20 enjoy our new pasta dish paired with a glass of wine from the Yarra Valley! We welcome back Jason Emiliano from Haybax! 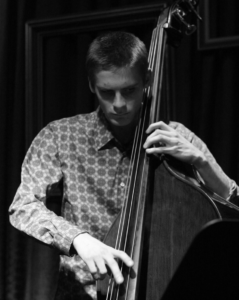 Playing: 23rd February 2nd March 16th March 7pm – 9pm Paired with wine & cheese it’s sure to be fun so don’t miss out! 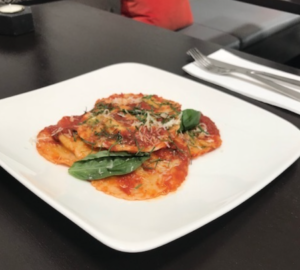 For $20 enjoy our Ravioli with ricotta and pesto filling in roast tomato sauce paired with a glass of wine from the Yarra Valley! 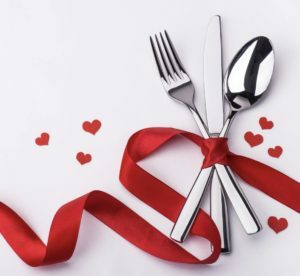 Indulge in a decadent 4 course tasting menu with your other half this Valentine’s. 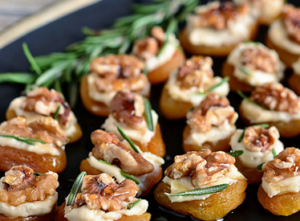 Lovers of good food, cheese and wine, then this event is definitely for you! Chef’s menu will feature an array of entreè, main, cheese board and dessert. 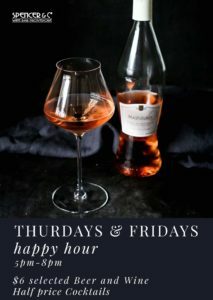 Menu: Oysters with mignonette Duck Ragu Pappardelle Cheese Board Dessert Including a glass of sparkling wine on arrival! 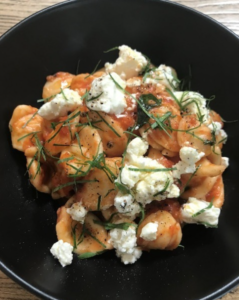 For $20 enjoy our orecchiette, persian feta with roast tomato sauce and a glass of wine from the Yarra Valley! Lancashire Bombs are here, only available during December, and in limited supply. 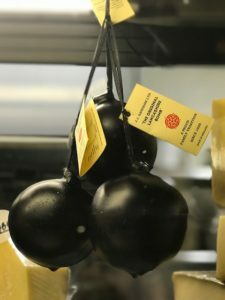 The Lancashire Black Bomb Cheese is the creation of the Shorrock family run dairy, which has operated out of Goosnargh, near Preston in Lancashire since 1923. All Lancashire Bomb Cheese are hand made, matured for a minimum of two years, wrapped in muslin and then dipped into wax, to produce this much talked about great tasting and original cheese product. This cheese is a huge hit not only with the North of England, but due to its originality, its reputation precedes it throughout the South too. And deservedly so, with Andrew Shorrock receiving prestigious prizes in 2006 at the Royal Lancashire Agricultural Show for the cheese. Made with pasteurised cows milk and suitable for vegetarians. Due to the maturation, the Lancashire Bomber has a deeply creamy taste. It is full flavoured, beautifully textured and with a reportedly ‘fierce and powerful Lancashire cheese’. 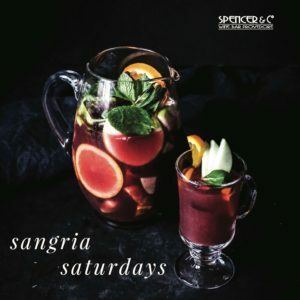 Gather your family, friends and savour your Saturdays at Spencer & Co Wine Bar Provedore. Treat yourself with our new Village Feasts, featuring our cheese boards over a 4 course sharing menu for only $40pp. 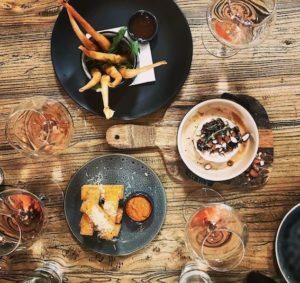 In true European sharing style, feast like the Italians & French every Saturday and enjoy a selection of sharing dishes and a dessert to finish. There’s no reason why you should miss out! Book now! Menu: 4 course sharing and dessert. Availability: Saturdays only, 12:00pm – late. Minimum 2pp. For $20 enjoy our pesto penne with cherry tomatoes, bocconcini and a glass of wine from the Yarra Valley! This Sunday 19th November from 3 – 5pm join us for a delicious (and free!) tasting of cheese. 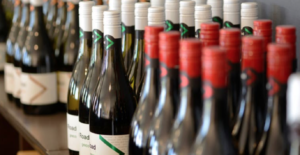 This selection wouldn’t be complete without a drop of wine, so head in for free tasting. We’re also offering 10% off our tasting cheese on Sunday (in store only). Every Friday throughout November 7pm onwards. 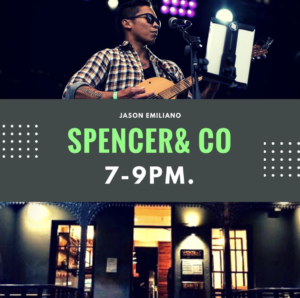 Enjoy the sweet acoustic tunes by Jason Emiliano from HayBax! Paired with wine & cheese it’s sure to be fun so don’t miss out! Let our resident cheese expert take you on a cheese appreciation journey that will provide you with a complete sensory experience in a relaxed and fun environment. You will enjoy a deliciously inspiring selection of six cheeses in perfect condition. 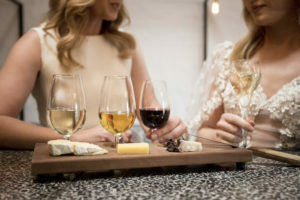 Tease your taste buds as each cheese is matched with selected wines by Phil from TheWine Despository, “From the old and the new world of wine”, pairing six wines tasting tour from Argentina, Australia and France. These classes are not to be missed and once you have done one, you will want to do them all! Participants are encouraged to taste, explore, discuss and enjoy. For just $19.50 every Wednesday, we offer local mussels steamed in white wine, chilli and garlic served with housemade sourdough. Enjoy them with 3 Ravens 55 American Pale Ale!